The cable channel formerly known as ABCFamily, Freeform, is getting into the Marvel Entertainment business. Freeform has made a straight-to-series order of Marvel’s Cloak and Dagger as a young-adult romance-action-adventure series. Cloak and Dagger in the comics first appeared in Peter Parker, the Spectacular Spider-Man #64 in 1982, and were created by Bill Mantlo and Ed Hannigan. They have frequently fought alongside Spider-Man in the comics, as well as being Young Avengers, X-Men, Secret Avengers, and Secret Defenders. They also had a particularly impressive run in the Marvel comics series, Runaways, that exposed them to a group of villains offsprings on the run from the government, the Avengers, and their parents. The story goes that Tyrone “Ty” Johnson (Cloak) and Tandy Bowen (Dagger) meet in New York City as runaways. After years on the streets, the two teens were soon forcibly delivered to criminal chemist Simon Marshall developing a new synthetic heroin for Silvermane and the Maggia, testing it on runaway teens with fatal results. Johnson and Bowen somehow survived injections of the drug, and they fled. The experiments then turn them into superpowered beings. 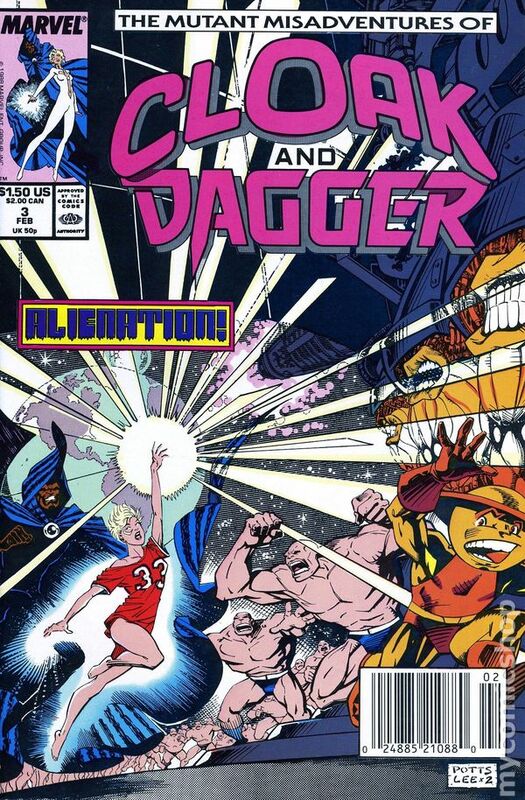 Dagger has the ability to shoot psionic “light daggers”. while Cloak gets D’Spayre’s Dark Form, which gave him the ability to create an aperture into the dimension of darkness and to dispatch people into the darkness dimension. Jeph Loeb of Marvel Television reported at Comic-Con 2011 that Cloak and Dagger are in development as a television series for ABC Family. The duo will be relocated to a post-Hurricane Katrina New Orleans, and this new announcement seems to be a continuation of that original plan. The heroes were prominently featured in an story arc on Disney XD’s Ultimate Spider-Man series as well in season 3. It would be really interesting to see a version of the heroes show up in a Spider-Man film, or Spidey show up on their TV series, but we’ll have to wait and see. Marvel continues to branch out across all mediums with their first entree into the cable TV market. Marvel TV now has planted its flag on ABC with Agents of S.H.I.E.L.D., Agent Carter and Marvel’s Most Wanted, as well as crafting grittier material in the Defenders saga on Netflix. Cloak and Dagger may bring about a ‘young-adult’ revolution on Freeform that could lead to a long-talked-about Runaways series as well as a Ms. Marvel (Kamala Khan) series or even Squirrel Girl. So far, no creatives have been attached to the series and no release date has been announced.